New editions of two familiar works, by Nolini Kanta Gupta and Amrita, will be welcome to readers who have long cherished the memoirs of these early disciples of Sri Aurobindo and the Mother. The first is Reminiscences by Nolini Kanta Gupta, the English translation of talks given in Bengali to his students plus a few later essays. Originally published in Bengali in 1963, the English version came out in 1969 and included the recollections of Amrita and another early disciple, Suresh Chakravarti. 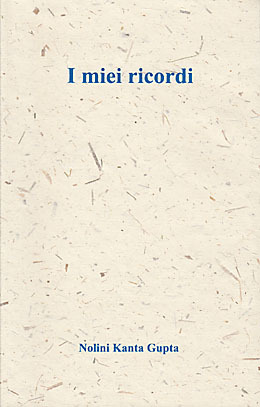 The text was later incorporated as part of Volume Seven of Nolini’s collected works. 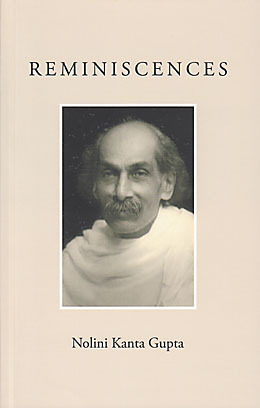 This new edition of Reminiscences contains only Nolini’s memoirs. The life we lived in such surroundings could be compared with that of nomads. The strange thing is that despite such irregular habits, or rather the habitual irregularities of our life there, we never fell ill. The abundance of vitality and the enthusiasm and joy kept at bay all attacks of disease. It was very similar to the kind of life we lived here in Pondicherry during the first few years. Motilal, when he saw us then, exclaimed in utter surprise, “What! Is this the way you live? And you keep him (Sri Aurobindo) too like this?” Perhaps someday I may give you a picture of that life of ours, that life of utter freedom which looked so rustic in the eyes of “civilised” people. Before I reached there [Sri Aurobindo’s house] – a little later than five-fifteen – Sri Aurobindo would come out of his room and sit on the west side of the southern terrace. I used to stand before him and go on talking. I would forget then that I knew little English. Day after day I would tell him fluently and unwaveringly my home-story, etc., trying to make the details as vivid and elaborate as possible. I knew no halt. In his presence my heart would flow out like an undammed flood either out of deep love for him or inspired by his supreme grace. It cast aside all human measures of what ought to be said and what ought not to be said. Today I may venture to call it bhakti. At that time I did not know its name. My heart was full to the brim with the rasa of sweetness. Reminiscences it bore the title Old Long Since. 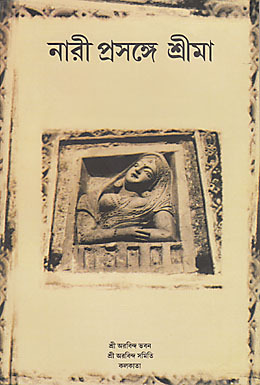 The same translation was reprinted in 1995 as part of a commemorative book, Amrita: Birth Centenary–1995. 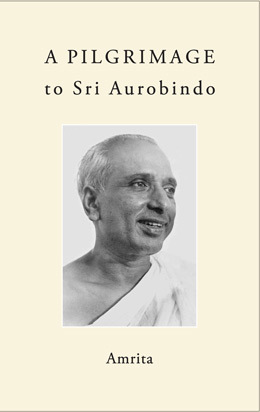 Published now for the first time in English as an independent book, its new title is A Pilgrimage to Sri Aurobindo, taken from a sentence in its second chapter. These works are memorable for their ability to evoke the atmospheres of Calcutta and Pondicherry in the early 1900s and the unique personalities of both men. We are afforded different types of personal perspectives in the next three books introduced in this issue. They present the personal reflections, observations, or insights on the spiritual journeys of their authors. The collections are comprised of lectures, essays, poems, and musings that span a number of years and look at both the individual and collective aspects of sadhana as it is practised in the Integral Yoga. 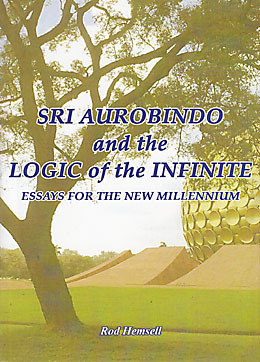 The essays in Sri Aurobindo and the Logic of the Infinite examine the philosophy of Sri Aurobindo and also cover a wide range of other topics. These include insights on how the change of consciousness inherent in the Integral Yoga is essential to finding solutions to many of today’s most pressing global problems. The Inner World of Sri Aurobindo Ashram presents the author’s perspective on spiritual practice in the Ashram based on his examination of certain aspects of Sri Aurobindo’s teachings. The essays in this firsthand account were written over a period of twenty years spent in the Ashram community. In Awareness by Sundaram is a book of poems, personal musings, and a few essays that capture the poet’s reflections on his life and sadhana. Known primarily for his Gujarati poetry, this work in English includes many of his own translations of his Gujarati poems. 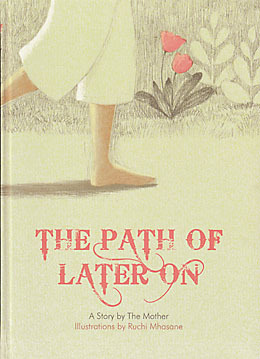 The sixth book presented here is an illustrated version of the Mother’s work The Path of Later On, a school essay written in 1893. 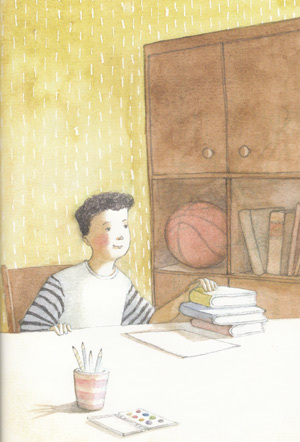 A children’s picture book with full-page illustrations, it tells the story of a young student who learns an important life lesson. In these reminiscences Nolini Kanta Gupta narrates events from his student years, the time he spent as a revolutionary and as a prisoner in Alipore Jail, the early years in Pondicherry with Sri Aurobindo, life during the two World Wars, and his years as both a young footballer and an elderly athlete. The book also includes some early memories of the Mother. As most of the recollections were originally talks given by Nolini in Bengali to his classes, they reflect the intimacy and charm of his relation with the students. These memoirs first appeared in English in 1969 along with the reminiscences of two other early disciples, K. Amrita and Suresh Chakravarti. In this edition only Nolini’s memoirs have been included. These reminiscences tell the story of how Amrita, at the age of fifteen, conceived a great desire to meet Sri Aurobindo and pursued this dream for more than three years until he finally met his Master in 1913. Amrita writes of his early life in his village, his days as a student in Pondicherry, his contact with the poet Subramania Bharati, his efforts to meet Sri Aurobindo, his studies in Madras, and his gradual initiation to Sri Aurobindo’s Yoga. This brief narrative, written in 1962 in Tamil, was translated into English in 1969 and published under the title Old Long Since as part of the larger book Reminiscences. In this book, the English translation of Amrita’s memoir is being published for the first time as an independent book. This collection of essays, many of which were originally presented as lectures, readings, and workshops, attempts to examine the writings of Sri Aurobindo in the context of philosophy and to present the ideas of Sri Aurobindo and the Mother in relation to topical subjects and concerns. It is the author’s conviction that only through the radical transformations – individual and collective – proposed by them that pressing global concerns such as war, poverty, exhaustion of natural resources, and the destruction of the biosphere will be effectively addressed. Ranging across diverse subjects, there are also essays on Auroville, spirituality in healing, Sri Aurobindo’s Savitri, and the work of supramental transformation done by the Mother. A collection of essays written mostly over a span of twenty years, this book looks at certain aspects of Sri Aurobindo’s philosophy and Integral Yoga and provides a personal perspective on spiritual practice in the Sri Aurobindo Ashram. Topics include the meaning of the terms spirituality, yoga, and surrender in Sri Aurobindo’s lexicon, the role of the Divine Mother in the supramental transformation, and the special character and purpose of the Ashram. The essays in the final section attempt to examine and explain the hidden, complex inner dynamics of sadhana as practised individually and collectively in the Ashram. 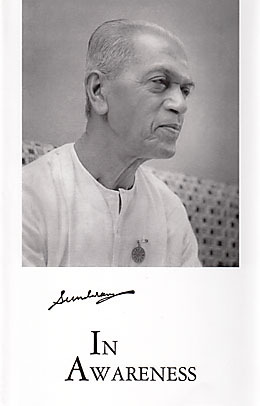 These musings, poems, and essays by Sundaram, a well-known Gujarati poet and a member of the Sri Aurobindo Ashram from 1945 until his passing in 1991, represent in English some of the different facets of his writings. The first, long section comprises pithy expressions of some inner musings and insights, presented in a journal format covering ten years. 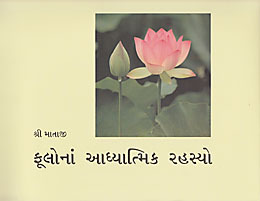 The second part, “Vijaya Poems”, is a collection of English poems written for Ashram students and teachers. Parts Three and Four are English translations of some of Sundaram’s Gujarati poems. 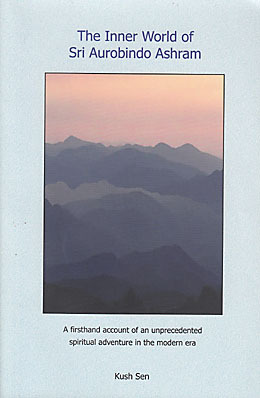 The final section contains eight essays, including a long piece, “Sri Aurobindo: The Poet”. Written by the Mother as a school essay in 1893, this simple story of a young student points to the moral lesson of heeding one’s inner voice and choosing the right path, and never postponing that choice for a later time. The story has been illustrated as a picture book for children. Each variety of flower, according to the Mother, has its own special quality and meaning. During her lifetime she gave names or significances to 898 flowers. In this book these flowers, with their significances, are arranged thematically in twelve chapters. In each chapter flowers of related significance are grouped together and placed in a sequence that develops the chapter's theme. 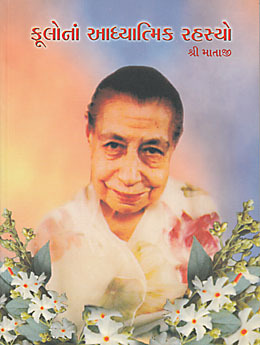 Brief quotations from the works of Sri Aurobindo and the Mother accompany many significances as an aid to understanding them. 630 colour photographs help to identify the flowers and reveal their beauty. 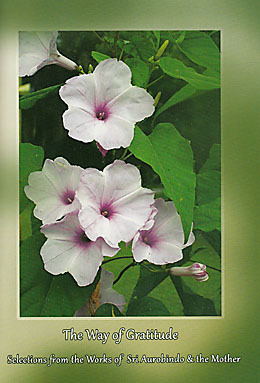 An index of common and botanical names is included. Nolini Kanta Gupta, sognatore e rivoluzionario, poliglotta, studioso, giornalista, critico, poeta, filosofo e uomo di profonda realizzazione spirituale, nato in Bengala nel 1889 da una famiglia benestante e colta, abbandona gli studi al prestigioso Presidency College, per unirsi, diciassettenne, al gruppo rivoluzionario dei Giardini Maniktolla diretto dal fratello minore di Sri Aurobindo, Barin, col fine di liberare la nazione dal giogo inglese. Con Sri Aurobindo e altri trascorre un anno di prigione ad Alipore per il Processo della Bomba. Rilasciato, lavora con lui alle riviste Dharma e Karmayogin e in seguito lo raggiunge a Pondicherry dove rimane per il resto della sua vita nell'Ashram che lentamente prende forma con il contributo di Mère. Con stile brillante e arguto Nolini narra le vicende della propria vita e, al contempo, ci offre immagini della vita rivoluzionaria di Sri Aurobindo a Calcutta e dei primi tempi della vita in comune a Pondicherry e dell'arrivo della Madre.